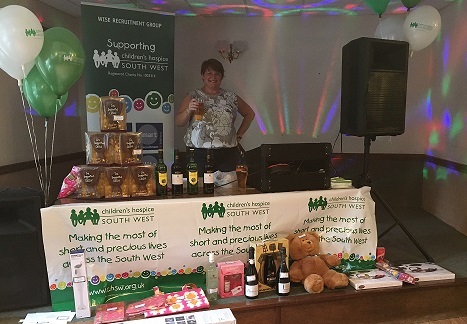 In celebration of The Wise Recruitment Group's 25th Anniversary, the company has been raising monies for Children's Hospice South West. The aim is to raise £25,000 throughout the year by taking part in team events involving our temporary personnel, permanent candidates, clients, suppliers and within the local community. Our second campaign, as a company, was to split into 5 teams and take part in the Children's Hospice South West £50 Challenge. Each team was given £50 and 12 weeks to turn that £50 into as much money as possible! This is the story of our workforce! The challenge started at the beginning of April and ended on Friday 14th July. Captain Kate and her team decided that food was the only answer! The quickest and easiest route to success. Being in the heart of Devon meant that Cream Tea's seemed a very appropriate way of making money. With the help of Clients they managed to negotiate excellent rates for scones, Rodda's clotted cream, jam and Cornish tea. 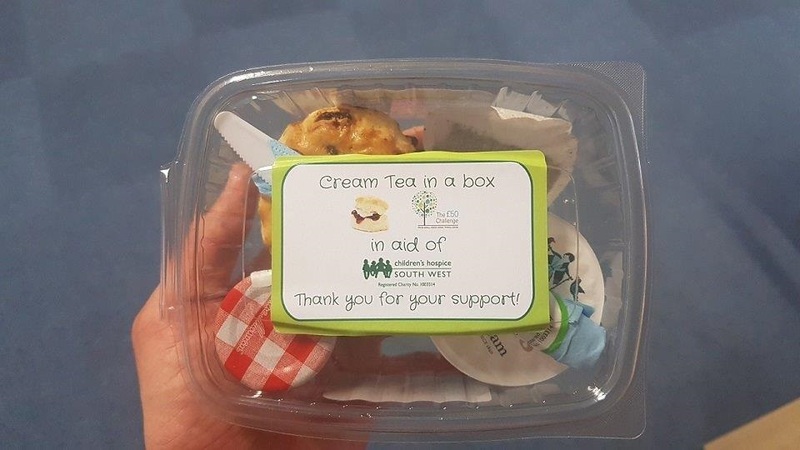 The team then went out and about around Plymouth, selling their cream teas in a box. They advertised via email and posters which gained them orders which were made up and delivered. As a team they managed to generate £478.25 profit! Thank you for your lovely email. Wow, a massive congratulations for raising such an incredible amount of money! We were very happy to help out with your charity fundraising and hope that if ever in the future you do something again, you ask us to help out! Did everyone enjoy our scones? Captain Chris and his team decided to run a "Name the Bear Competition," purchasing a boy and a girl bear. Both branches took their bear out into the community and got Clients, Temporaries, Permanent Candidates and members of the public to "Name the Bear". A total of £238 was raised. This money was then invested into an event. 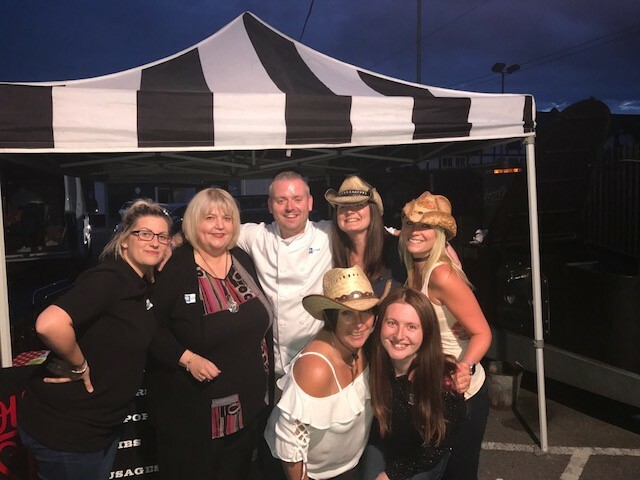 On Thursday 13th July, the team hosted a "Charity Night" at Maidenhead Football Club. The club had kindly donated the club house free of charge and offered a fully staffed licenced bar. 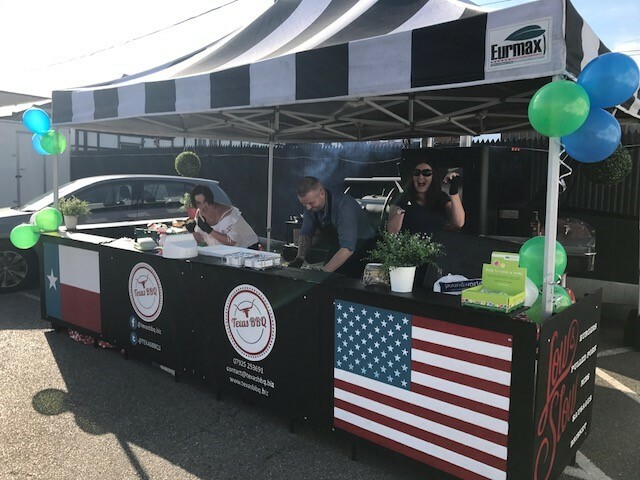 A fantastic local group "The Marley Motown Experience" offered to play for free from their range of soul and reggae tracks and a smoked BBQ was also offered for use by a local chef named Daniel Kubiak. Chris the Captain, is a trained chef and he worked hard with the Manager of Maidenhead, Victoria, to serve up some tasty BBQ food. 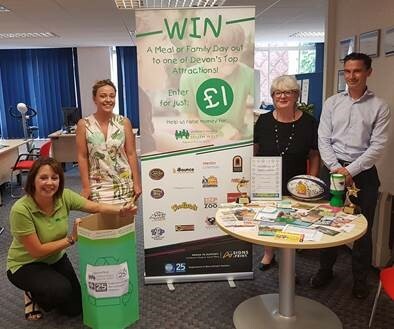 Local retailers, sports facilities and event companies donated fantastic prizes to the raffle and the event was advertised by the team through flyers, posters, by phone and email. The team generated £647.55 profit! Captained by Megan who heads the Pro Education Division in Exeter, the team set about making their plans to ensure total organisation from the start! The initial £50 was invested in cinema posters and sold on Ebay which generated £87. The team then contacted local companies, retailers and special event venues asking for prizes to be won in a major raffle. 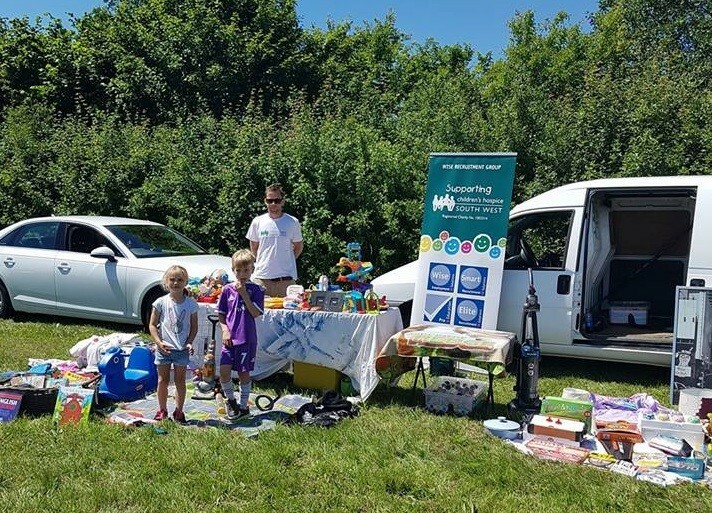 The local Devon community were more than generous offering tickets to events and incredible prizes donated by organisations such as Eden Project, Exeter Chiefs, Woodlands, Go Ape and Pennywell. The money from the cinema posters was then invested in raffle tickets and the whole team then went mad on selling the tickets to the local community, Clients, and Temporary Personnel along with their internal employees! The raffle generated £630. To boost as much money as possible, the team then participated in a local craft fair selling home-made jams, relishes, bunting, slate signs, candles etc made by team members. This raised a further £312.48. As an extra activity, two golf days were donated by Stover Golf Club which were sold through Facebook and raised a further £100. The team generated £1,024.72 profit! The Smart team decided that food was a great way to start the £50 challenge and they spent their £50 on cake ingredients. Chef Jason, Operations Manager, made the lollipop cakes and the team took it in turns to get out and about visiting and popping in to their Clients and selling to Temporary Staff and Permanent Candidates. They then held a raffle for a family portrait that was generously donated by Kolasa Photography worth £300 and the winner will be drawn at the end of July. The third and final event was a car boot sale. James, the Manager of the Yeovil Office and his team braved the weather and turned the unwanted items gathered into gold. Captain Gemma coordinated the Head Office Team. A Garden Party was held on the 10th June and the initial £50 was invested into ingredients to make some scrummy cakes and savoury items. Friends and family of the team members were invited and £224 was raised through the selling of the cakes and tea. There was also a tombola with prizes that had been donated by the Head Office team. The event was then followed by a Rock N Roll Bingo night held at the Red House Club in Purton. The initial monies raised helped to buy the bingo tickets, hotdogs for the night and some raffle prizes. They received an incredible amount of support from suppliers and had some fabulous raffle prizes donated. The event was attended by Suppliers, Clients, Friends, Family and the community. The final amount generated was £1,225.38! Collectively the teams made £3,656.12 through the £50 challenge. Well done to all the teams for their effort and a very special thank you to everyone who helped each of the teams to make their totals. "It is really heart-warming how everyone helps with these events to make them successful. From the original ideas to the coordination of the tasks each team has had incredible support from Clients, Temporary Workers, Permanent Candidates, Suppliers, the local community and friends and family. The prizes donated for raffles have been outstanding. The local public support for our aim to achieve £25,000 is quite simply staggering. Our next campaign is to fill charity bags with unwantables to sell in the 28 Children's Hospice Charity Shops, across the South West and become others wantables!" 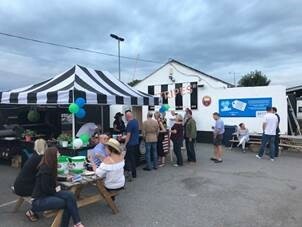 "As a Company we were inspired by the £50 challenge as part of our fundraising efforts this year for CHSW and to mark our 25th anniversary. We entered 5 Teams and each one worked competitively against the others to demonstrate their business entrepeneurial skills and to claim an inter-company win by turning a £50 investment into the most cash! It turned out to be a great team building exercise as Consultants became Managers for the purpose of the project and relationships with customers and suppliers was strengthened as we enlisted their support and generosity. 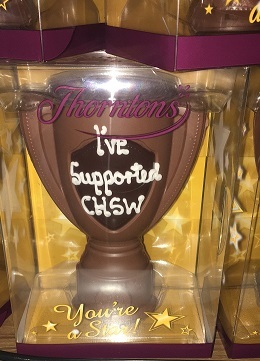 It was hard work but everyone who participated finished with a huge sense of pride and achievement and we are delighted to have turned £250 into £3,656 for CHSW". If you would like a charity bag or two then please contact your local office.